Working on the global repositioning of Steinway for the 21st Century was one of the most unique projects on which I have ever had the pleasure to work. For starters, why did they even need a positioning – everyone knows they are the best piano makers in the world, so what else needed saying? But it soon became clear that Steinway was not just competing in the world piano marketplace, but on the much broader cultural stage of new global luxury, with a much more diverse competitive set. 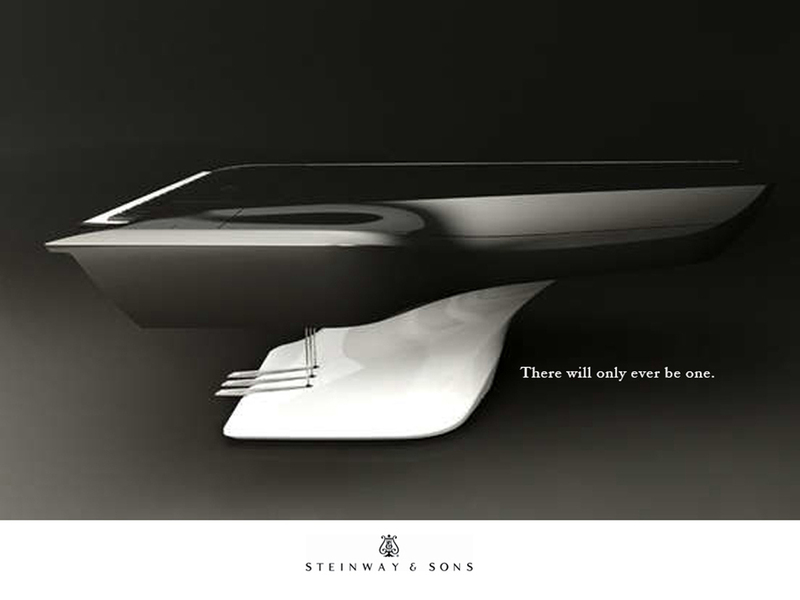 In this context, we developed a hypothesis around the concept of ‘forever-ness’ and Steinway being a legacy purchase that connects the buyer to the endless passage of time, a bridge between the past and the future, accessed in the present. We also had to find a way of going beyond just the "manufacturer" and "player" perspective, in order to present a better idea about what the piano represents in our modern culture: one that would unite buyers, players and listeners. Steinway reconnects people to their humanity through the music, the composer, the artist, the player, the listener and the piano itself. And it was evident that a modern Steinway mindset would have to champion and support future traditions around the culture of music making, playing and appreciation. In this sense, the brand stands as a timeless connector of souls. Buying a Steinway is essentially buying access to eternity.